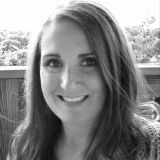 Jena Fahlbush is a Specialist for the PATINS Project. She is a licensed teacher for grades K-6. Her wide range of classroom experiences include working as a special education paraprofessional, peer model preschool co-teacher, Title I instructor, and 3rd grade teacher. As a strong believer in the power of technology and universal design, she is excited about sharing how the right tool and intentional design can change the game for a student. She enjoys watching movies, camping, playing games, traveling, and home projects. Thursday, 27 December 2018 A New Year, A New Classroom?